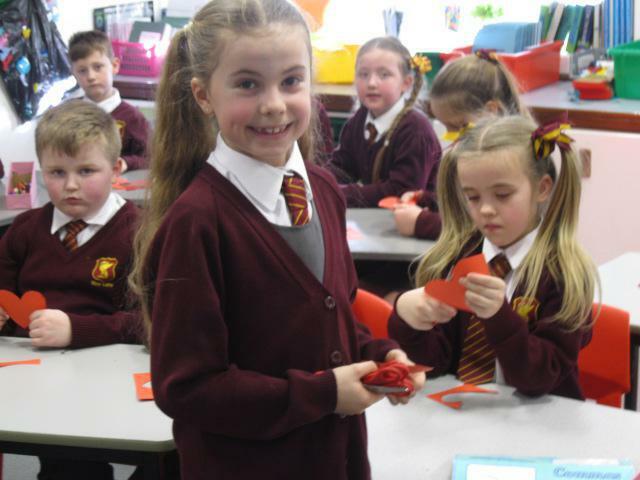 Welcome to our eCadet page! 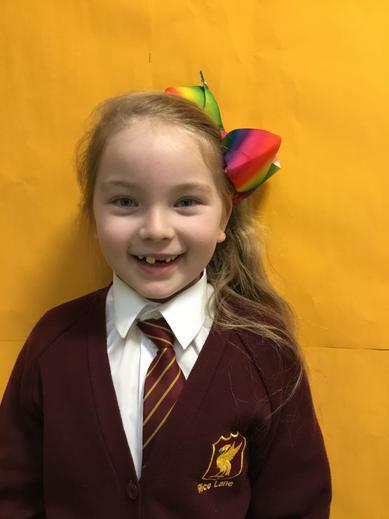 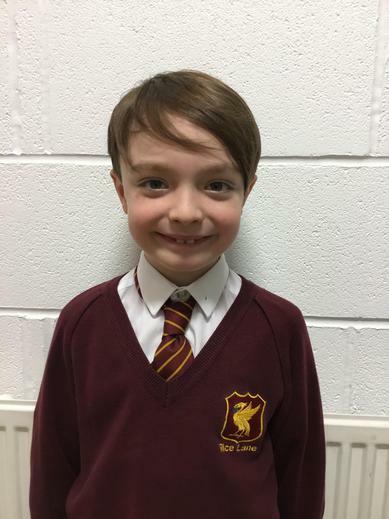 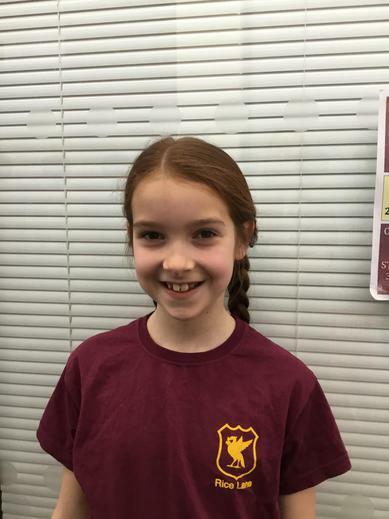 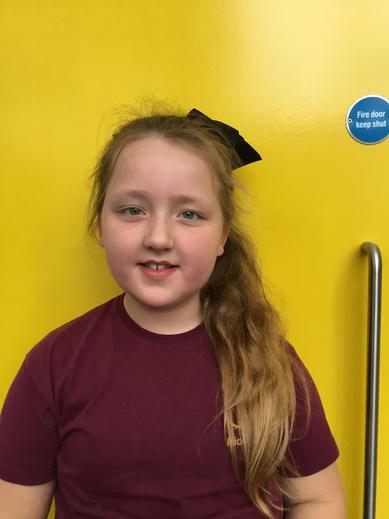 Here at Rice Lane Primary School we are part of an exciting scheme called the eCadets. 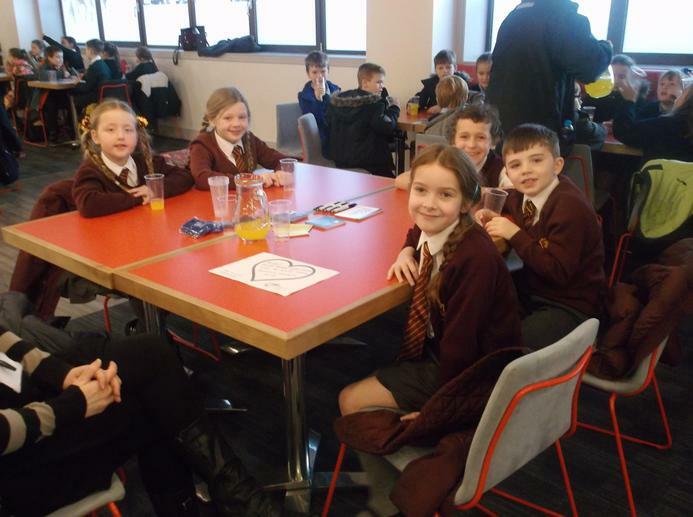 We have a group of 13 children in KS2, one per class from year 3 up to year 6 who meet together to talk about online safety. 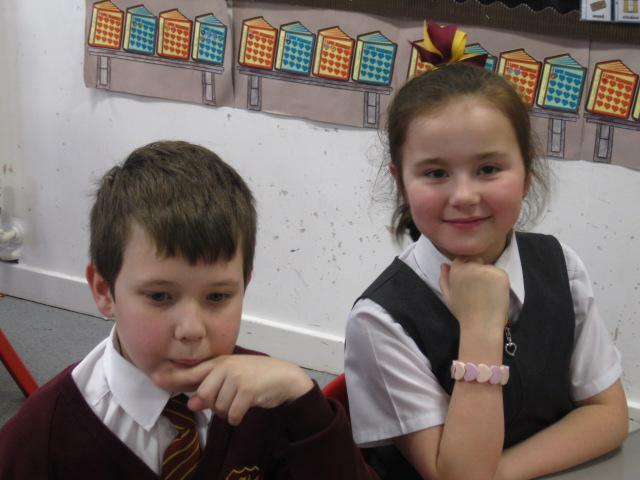 The main role of the eCadets is to work together as a team to promote online safety throughout our school. 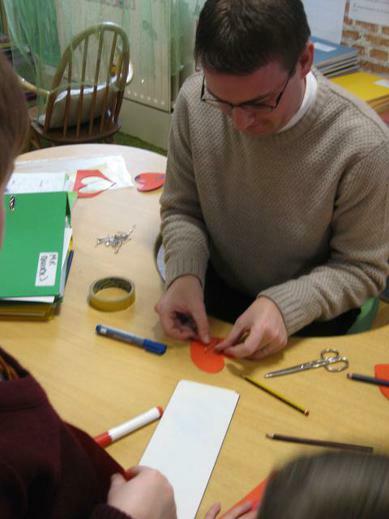 We will also be taking part in a range of termly challenges together set by the eCadet head quarters. 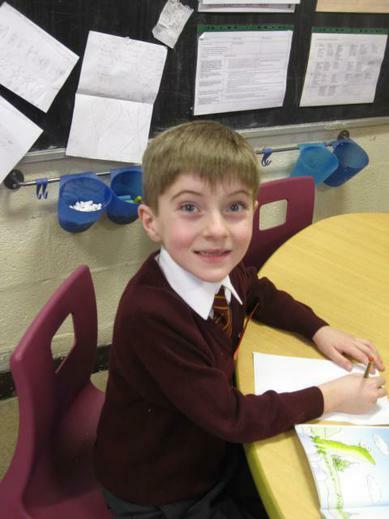 Watch this page for updates and for more information on the scheme click the link below! 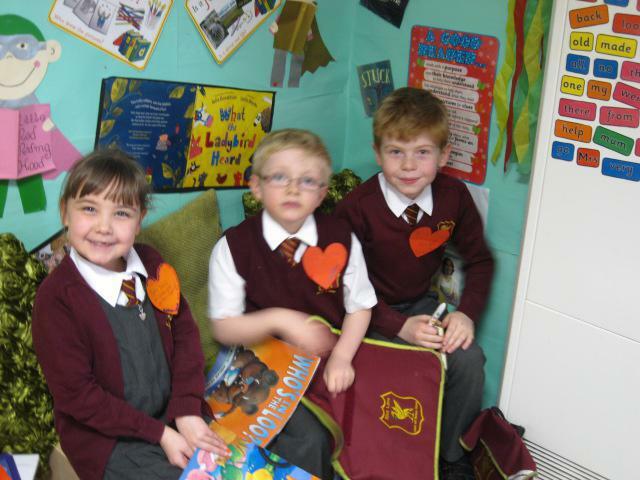 For more information on the eCadet scheme follow this link. 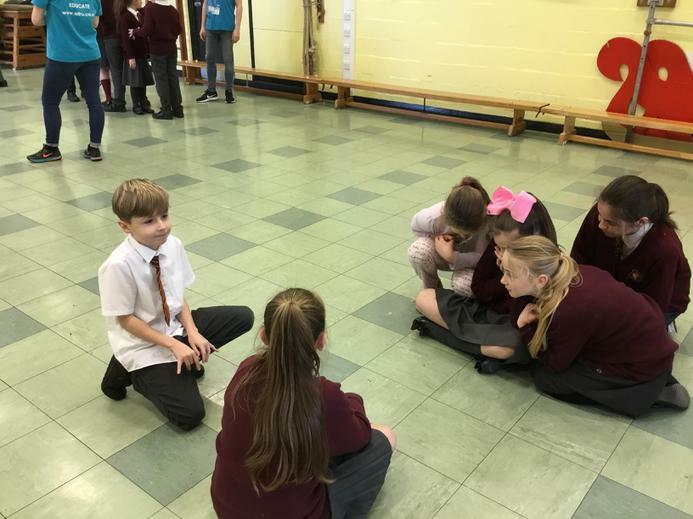 During our first meeting this week, the eCadets met together and reviewed our internet code of conduct and eCadet promise to our school. 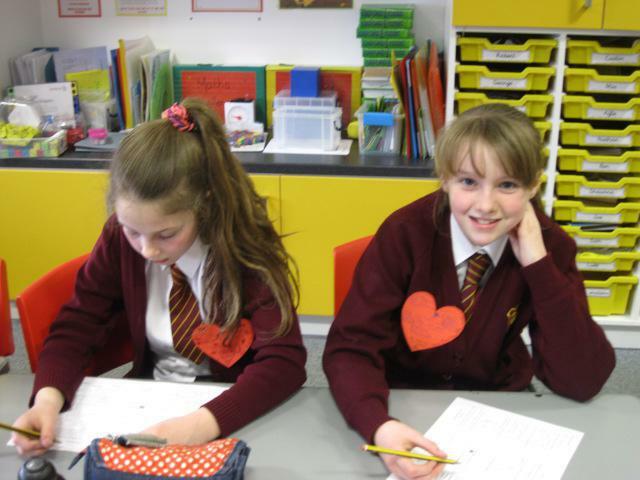 The eCadets decided that both both were still relevant and great positive messages to be sending out. 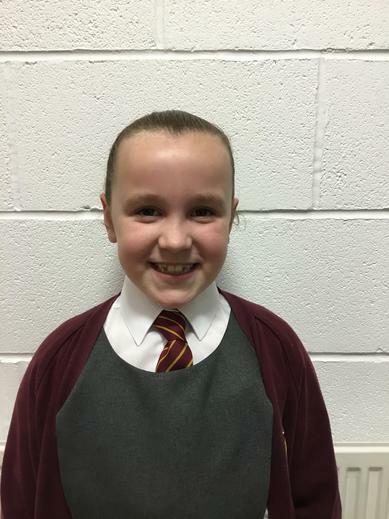 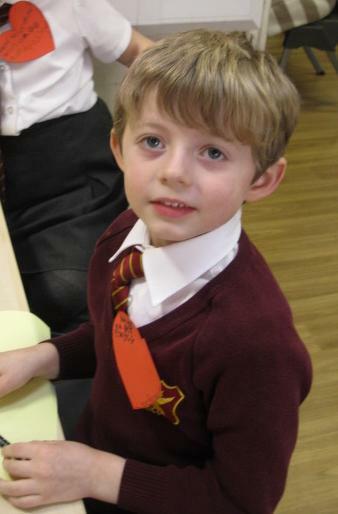 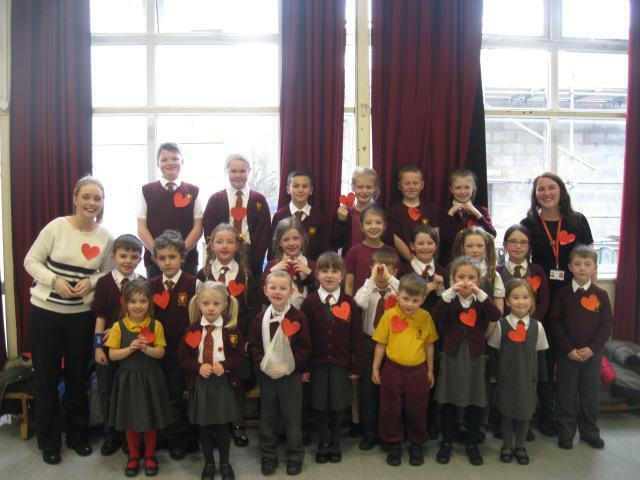 Although the children are a new group of eCadets, we will be keeping the promise and code of conduct the same. 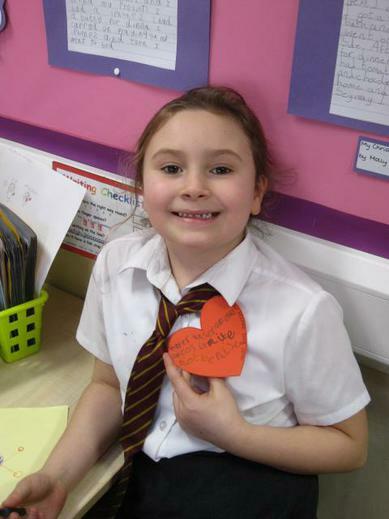 Today, we also discussed what the children thought were the main internet safety issues affecting children today and came up with a list of ideas about how we, as an eCadet team, can help throughout the year :) A wonderful first meeting- thank you eCadets! 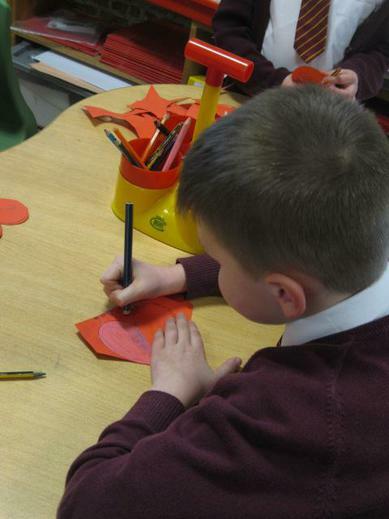 Today the eCadets have been thinking about how to share internet safety messages throughout school. 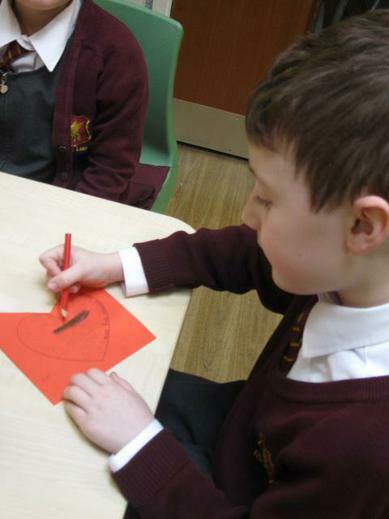 We talked about how stories are a really effective way to share an important message. 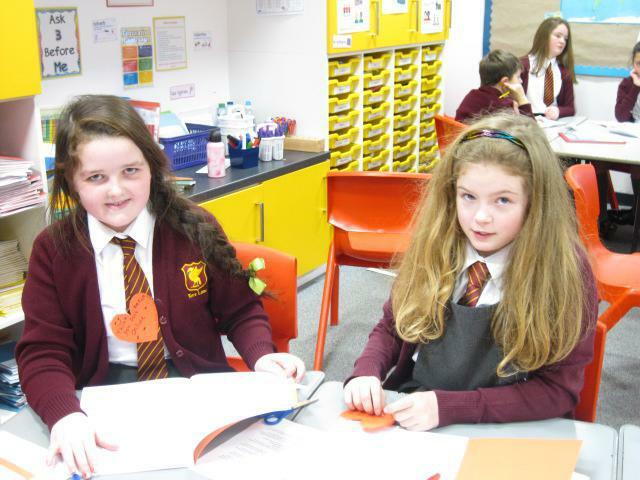 In year groups, the eCadets chose one of our texts each and read them together, thinking about what the main message of the story is and what we can learn from it. 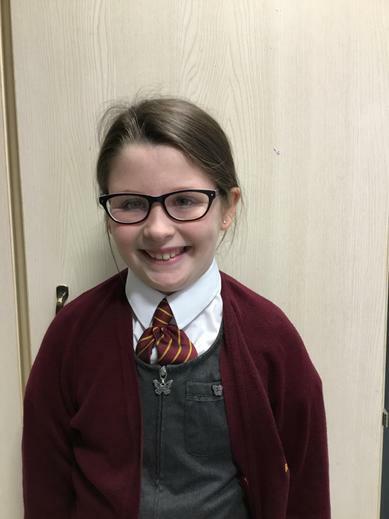 The eCadets will be taking their chosen book back to class to share with their teachers and classes :) During our next meeting we will discuss our classes thoughts and learning and be able to swap and choose a new book! 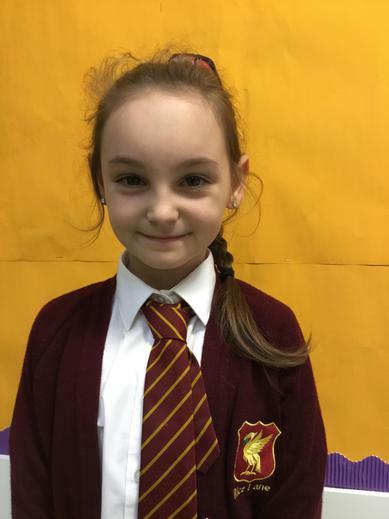 The focus of the meeting this week was thinking about what is wonderful about technology and also what dangers there are for primary aged children. 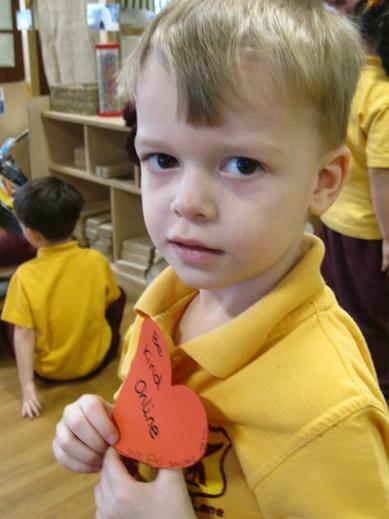 We decided as a group that, in order for us to send the most relevant messages out to the parents and children in our school that we should find out what is the most popular technologies and games in our school. 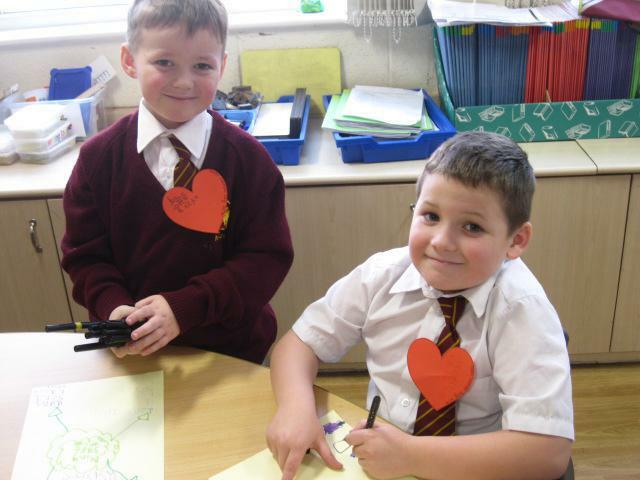 Together we came up with a questionnaire to take back and ask our classes. 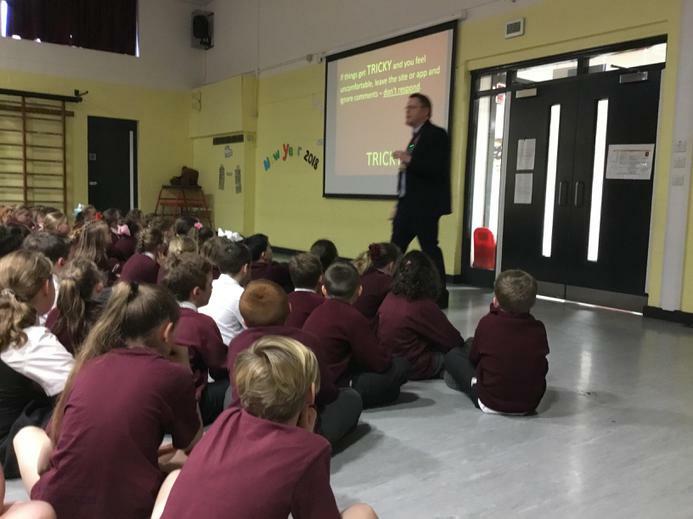 This week, Mr Bradshaw (one our governors and also a school improvement officer in Liverpool) came to our school to deliver assemblies to KS1 and KS2. 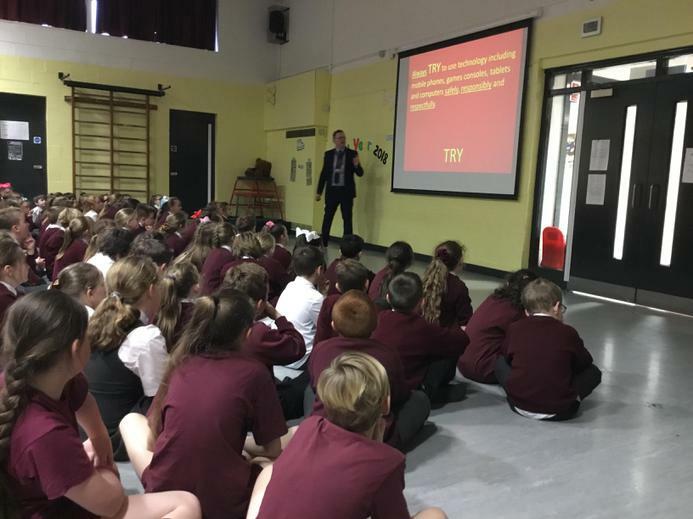 The assemblies were really interesting and informative with the main message: "To always try our best to use technology safely, responsibly and respectfully." 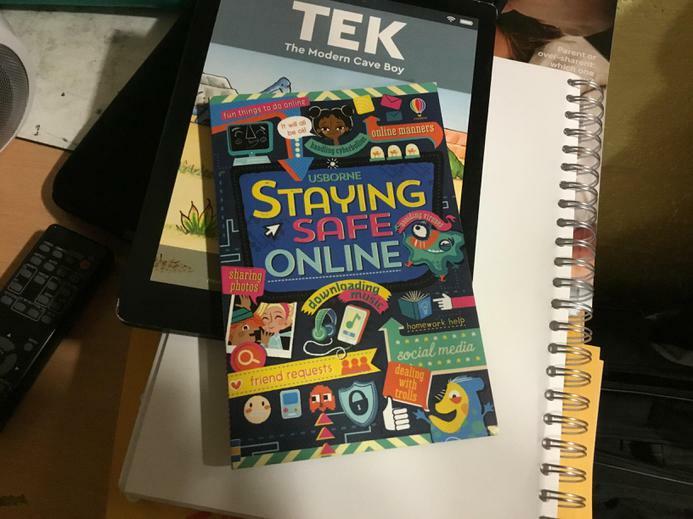 He also recommended the online safety books pictured below (Usborne Staying Safe Online and Tek the modern caveboy). 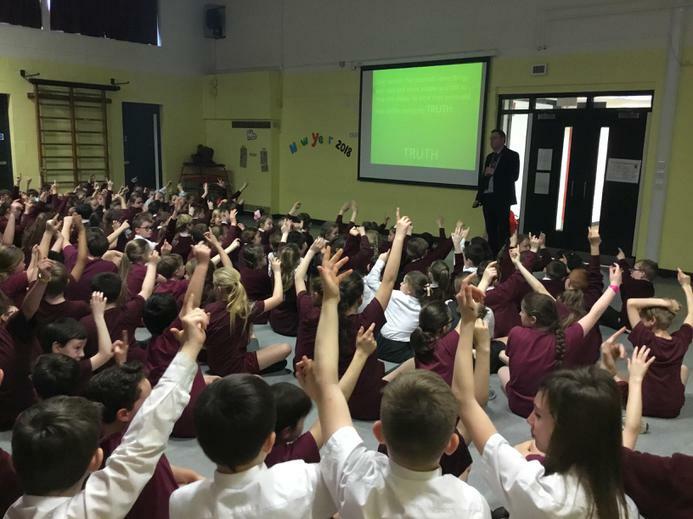 Thank you Mr Bradshaw for coming in :) after the assembly our eCadet team got together to talk about the important messages covered- we also discussed the SMART rules for online safety. 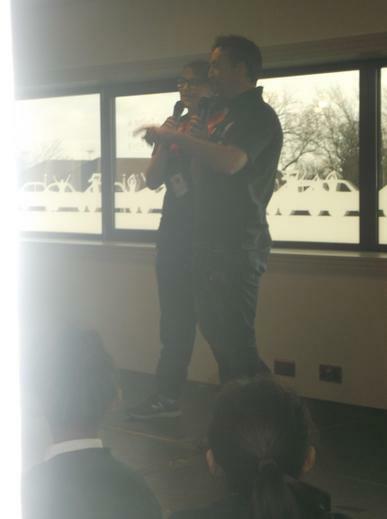 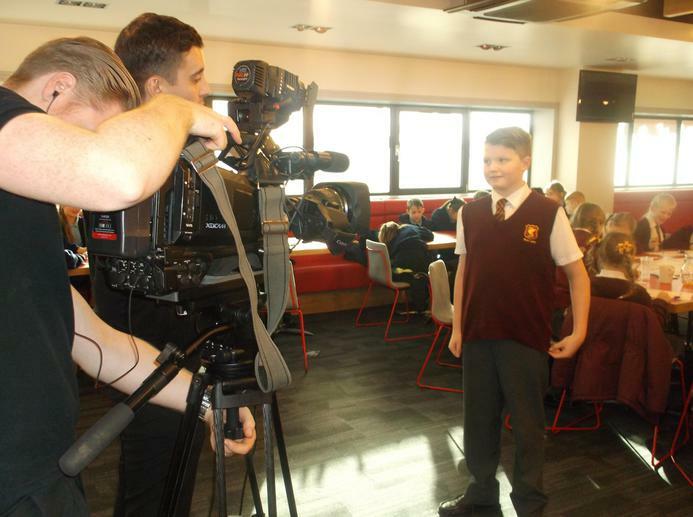 eCadet meeting 5: Safer Internet Day at Anfield. 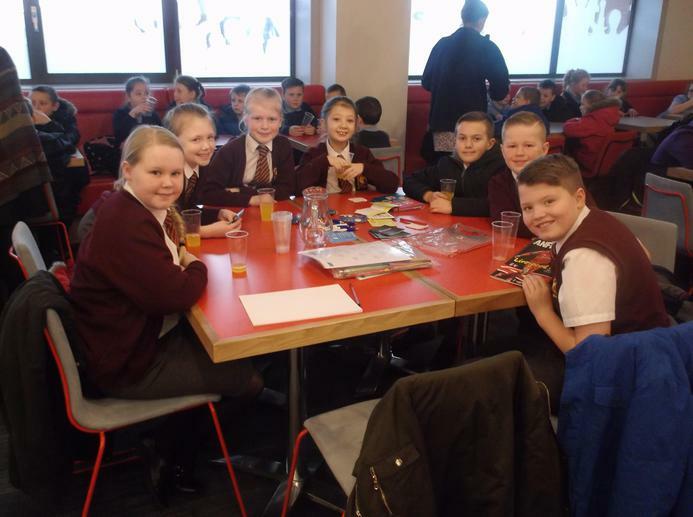 This week the eCadets were really lucky to be invited along to Anfield football stadium to take part in Safer Internet Day activities. 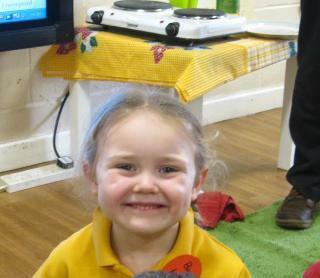 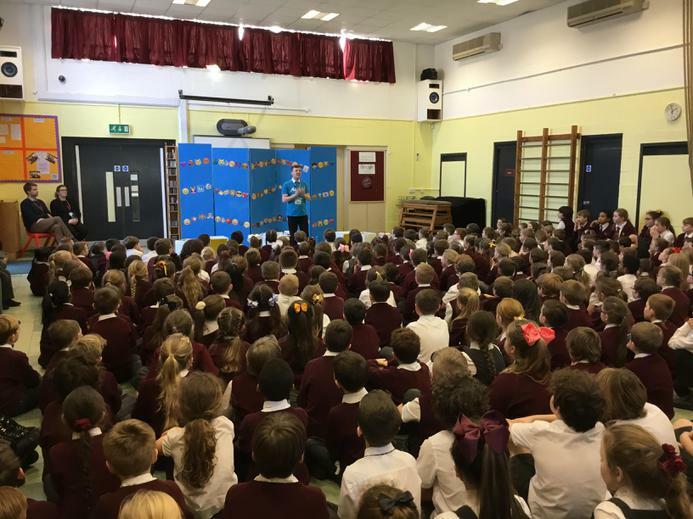 The children really enjoyed their time and heard some very important messages to take back and share with their classes. 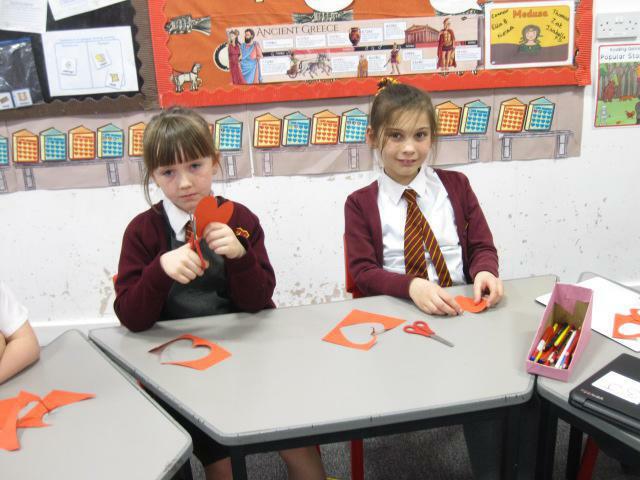 Check out the pictures by following the links to our Twitter page below. 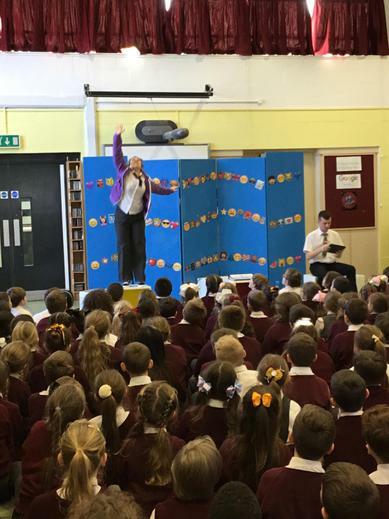 In connection with Safer Internet week, today the children from both KS1 and Ks2 watched performances from Altru Drama based on being safe online. 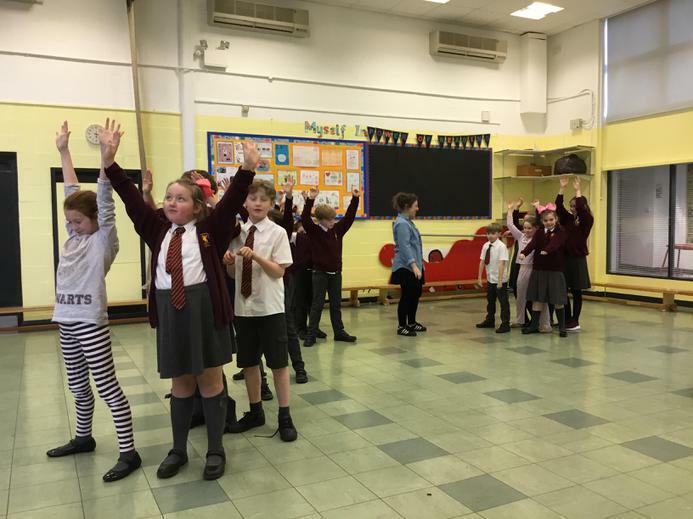 KS1 watched 'Dot co dot OK' and KS2 watched 'Tangled Web'. 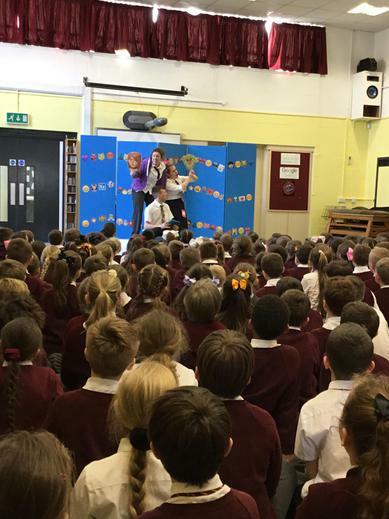 Both plays were fantastic and had really important messages delivered to all children. 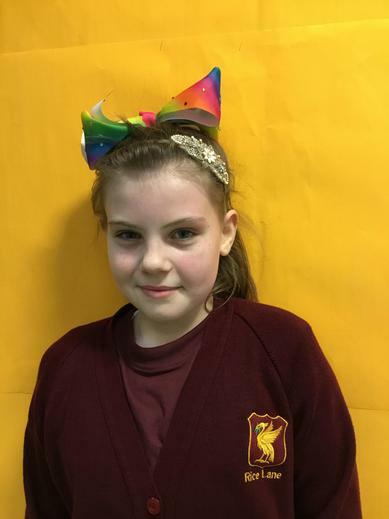 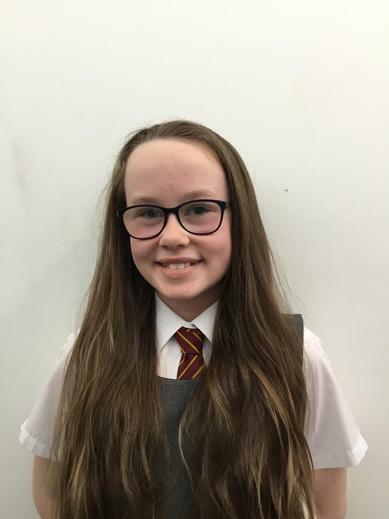 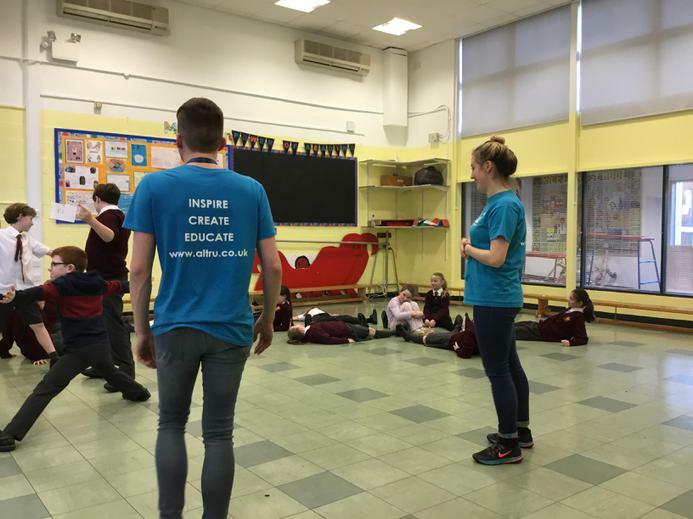 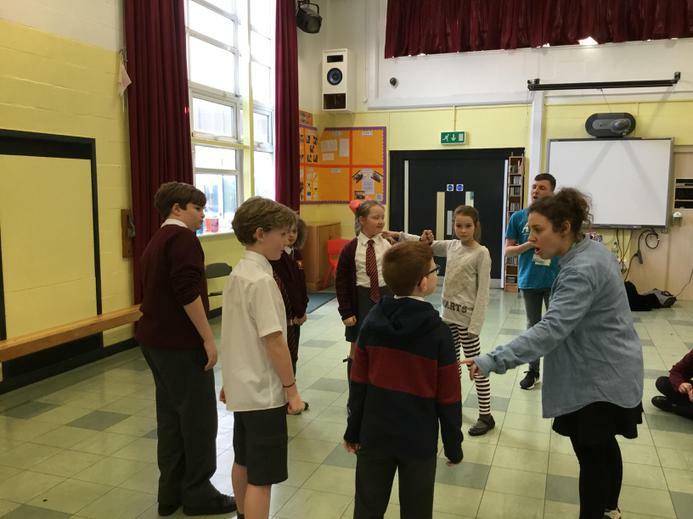 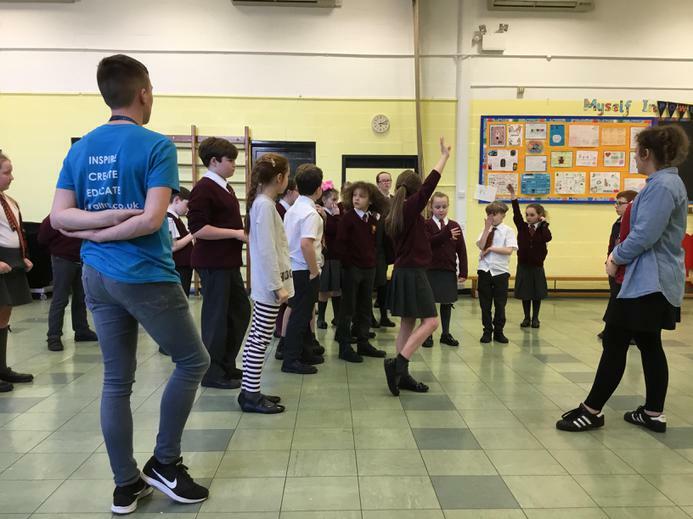 After the performances our eCadet group along with some other children took part in a work shop with the Altru Drama Team focusing on online behaviours and what to do if you feel worried or upset about something online. 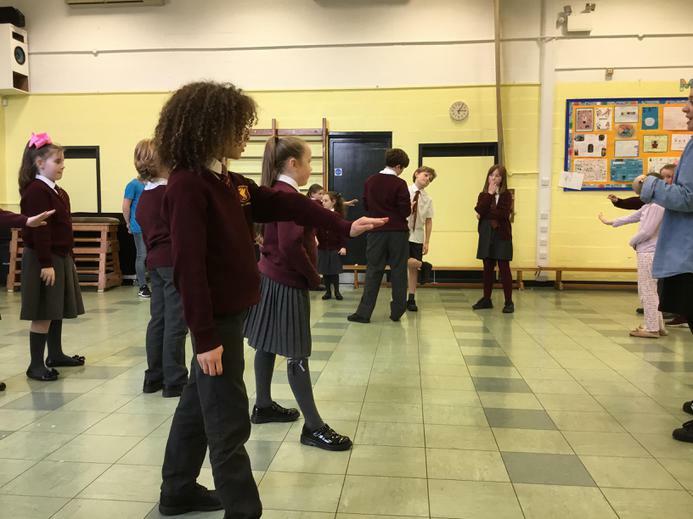 Today the eCadets had a very serious topic to discuss: The very popular game 'Fortnite'. 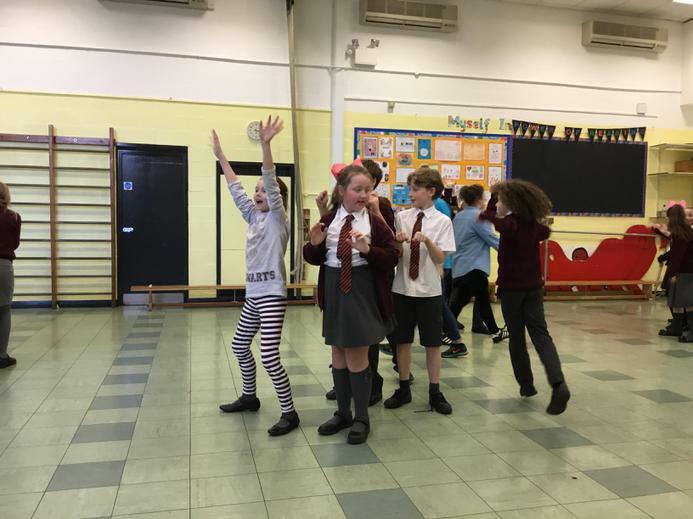 Fortnite is one of the most popular multi-player games being played at the present time. 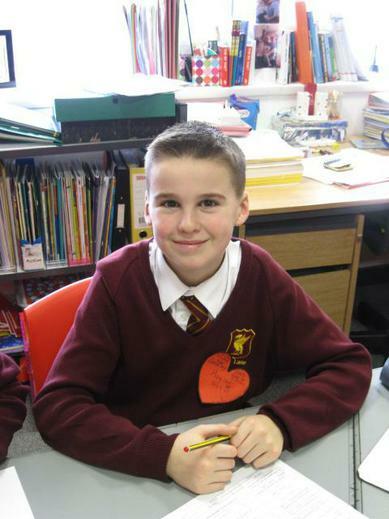 And while we love technology and gaming, we are also aware of online safety issues currently arising with this game. 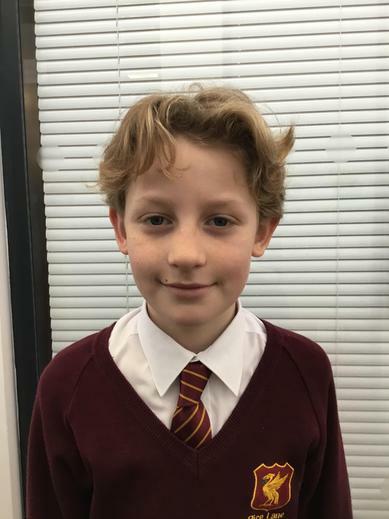 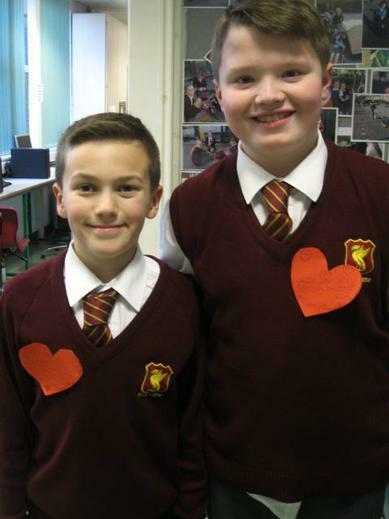 The eCadets decided it would be a good idea to share our top tips for children and parents about online gaming- they worked so hard on their own advice and making the video below (Please follow the link to our Twitter to check it out). 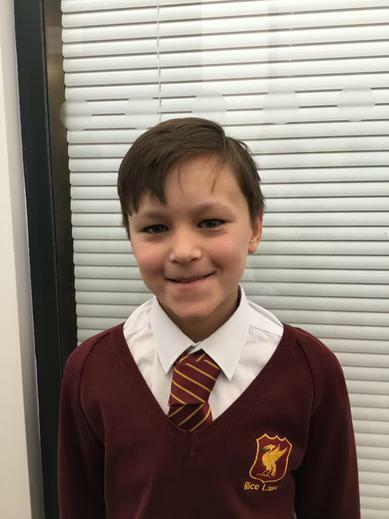 For more information and tips about keeping your children safe while playing 'Fortnite'- you can follow the link below our video to common sense media. 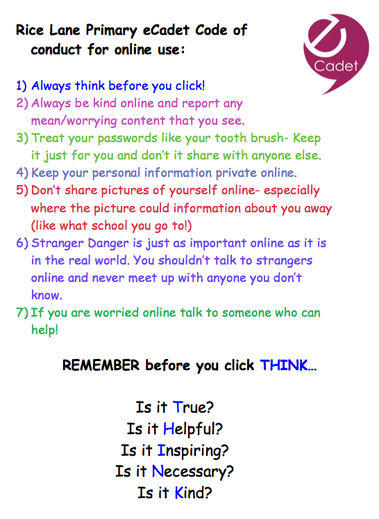 Our eCadet top tips for safe online gaming. 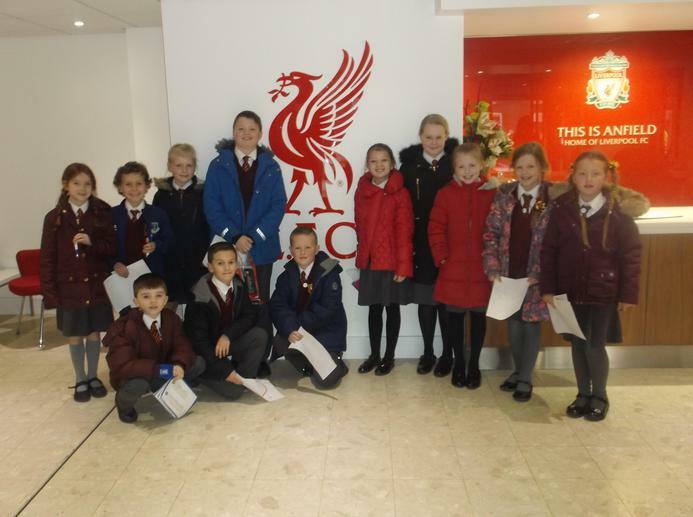 KS2 eCadets trip to Anfield- Safer Internet Day! 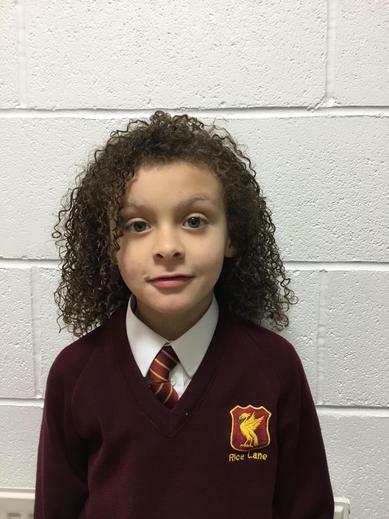 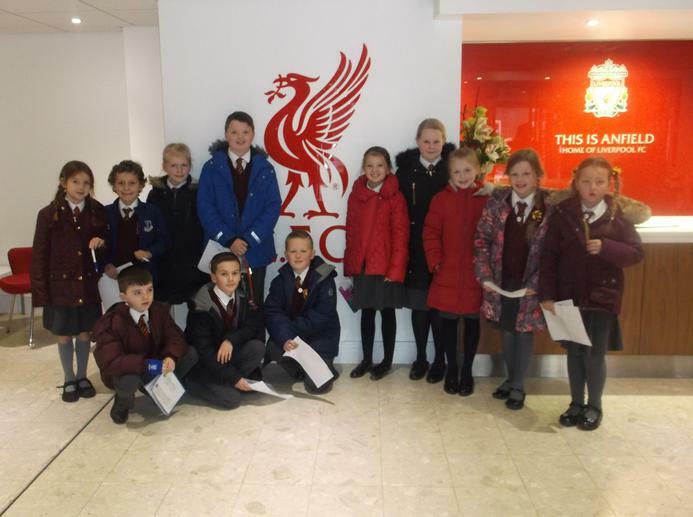 As well as the wonderful lessons and activities going on around school today the Ks2 eCadets also had the very exciting opportunity to go to Anfield to take part in a Safer Internet morning supported by Liverpool football club. 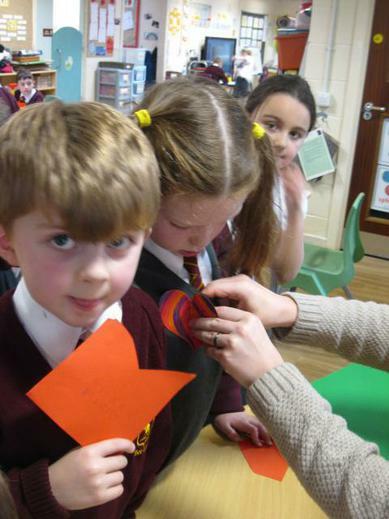 The children enjoyed taking part in the activities and came back with the very important message of 'Celebrating differences online.' 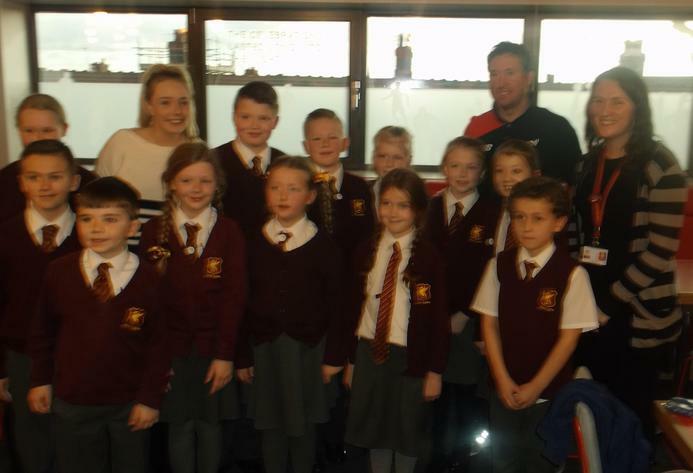 One of our eCadets were interviewed for LFC TV and the children also got to meet Robbie Fowler who had important messages for the children about online safety. 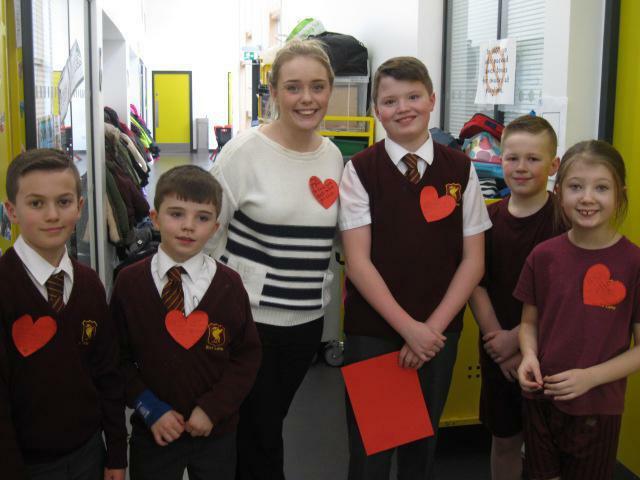 We are also proud to say that he complimented the children from our school by saying they had been the best behaved group there! 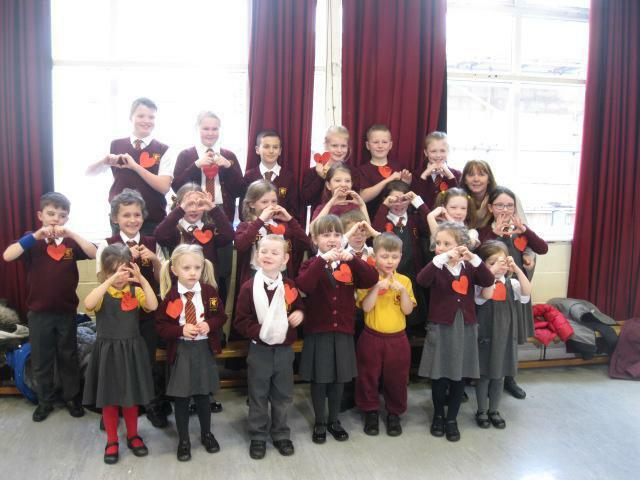 We are very proud- well done eCadets!! 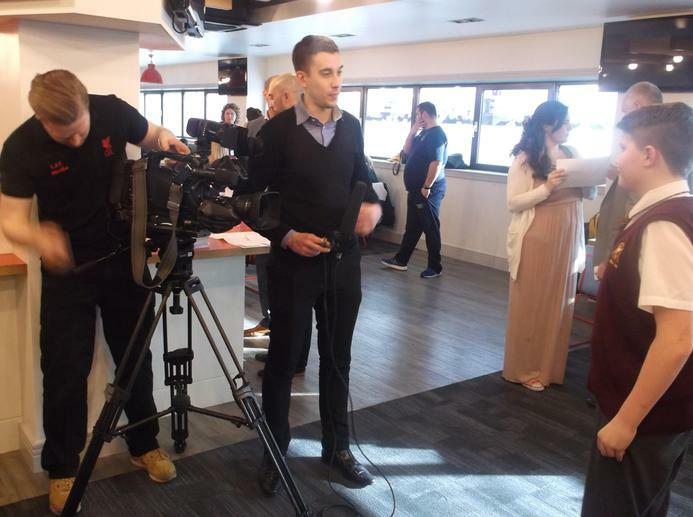 Have a look at the pictures from the event below. 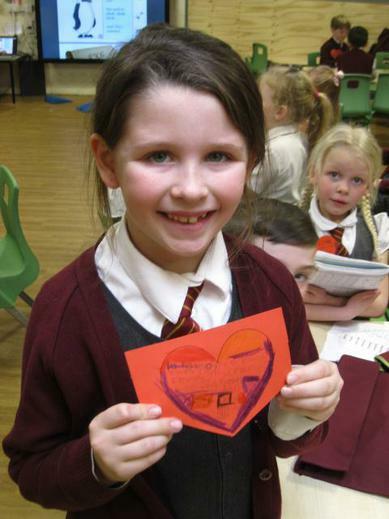 This years safer internet day carried the message of 'Play your part for a better internet.' 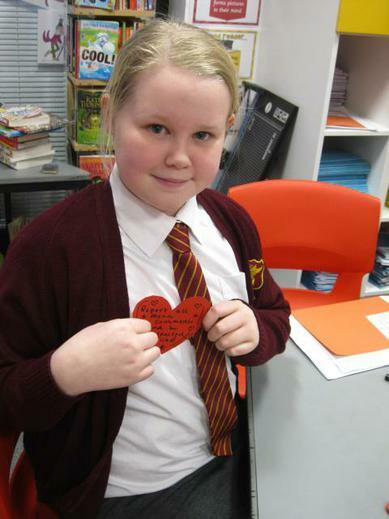 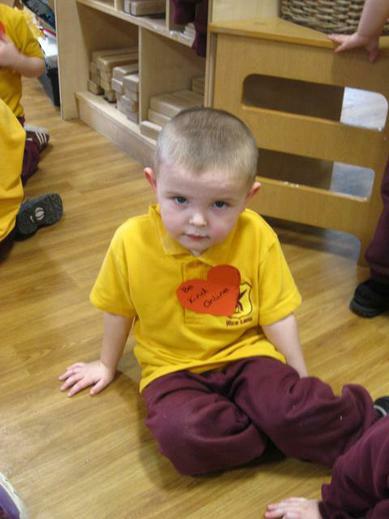 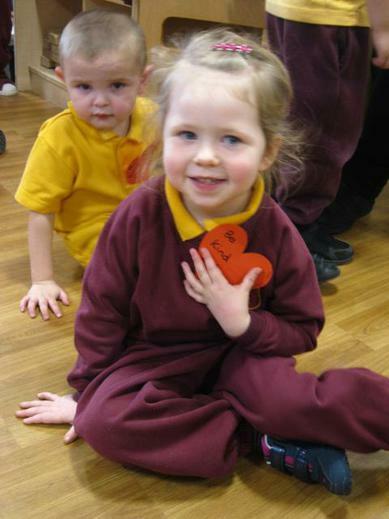 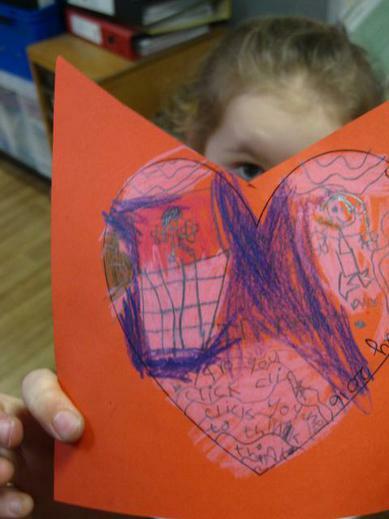 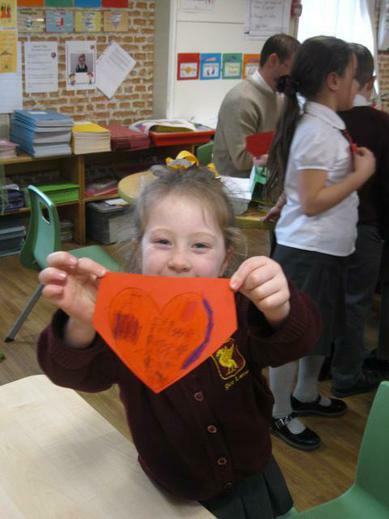 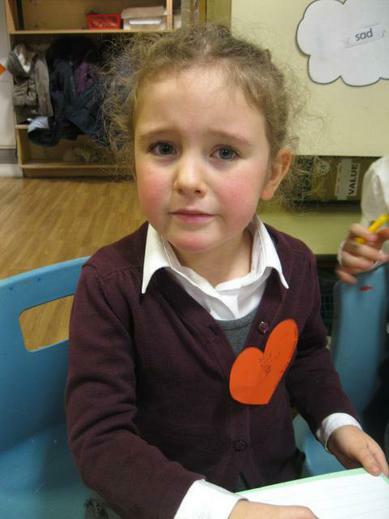 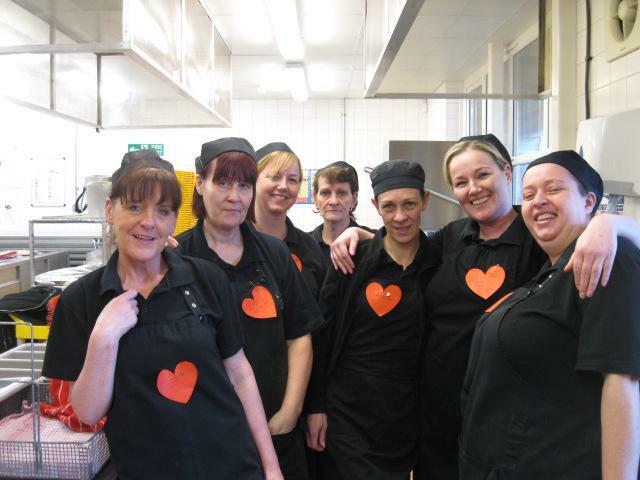 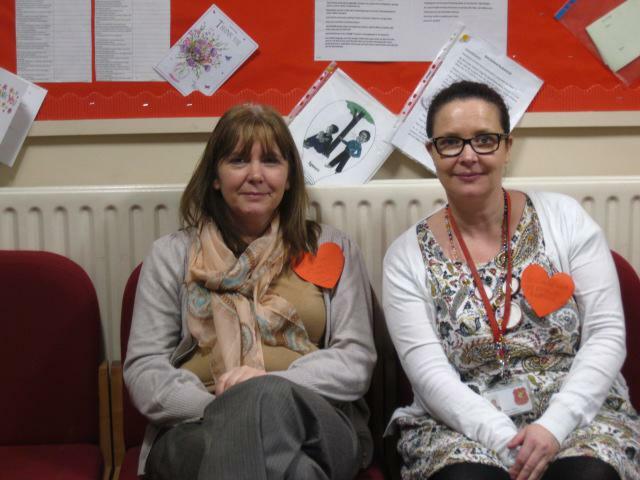 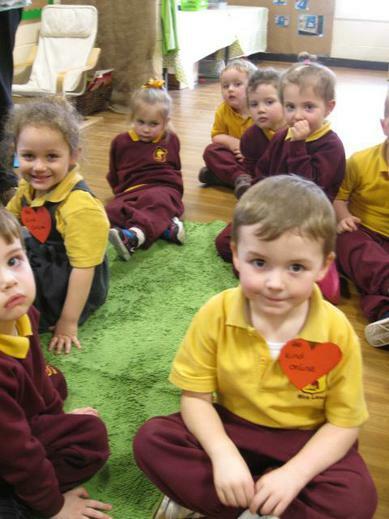 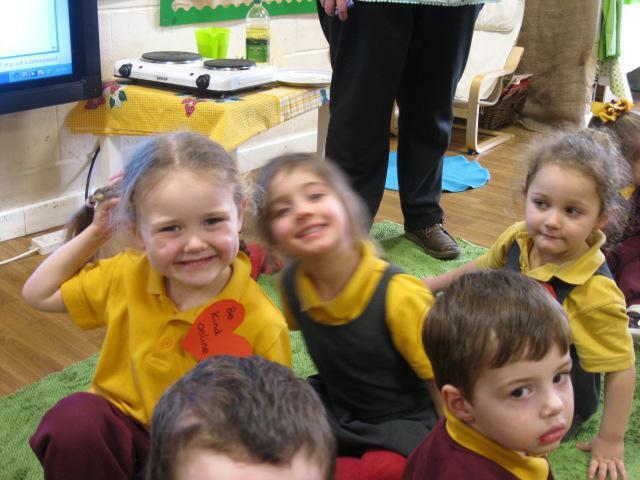 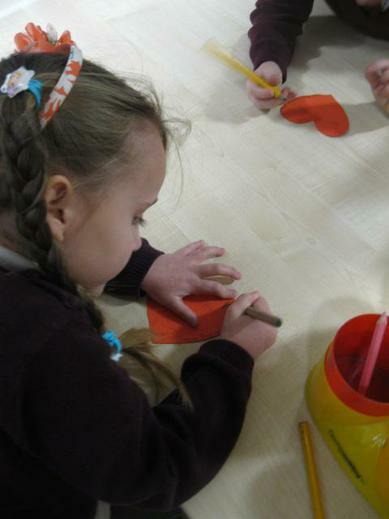 The Uk safer internet centre encouraged people to 'share a heart' with an important message. 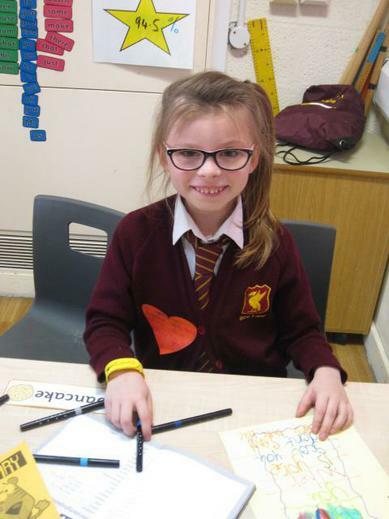 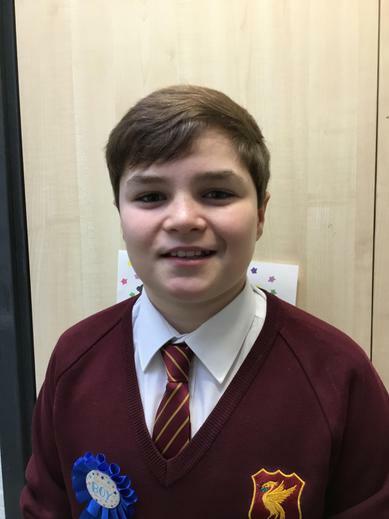 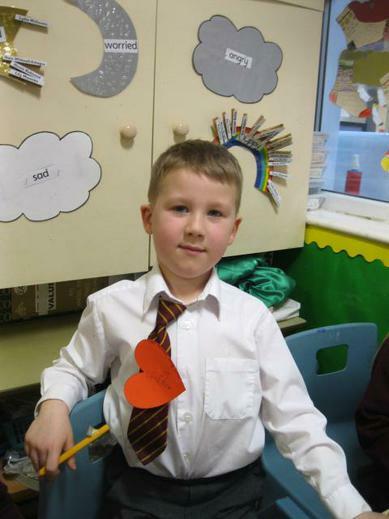 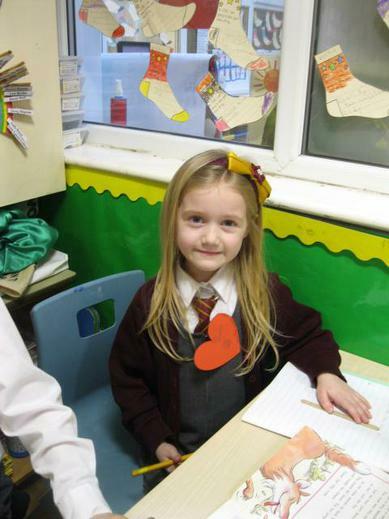 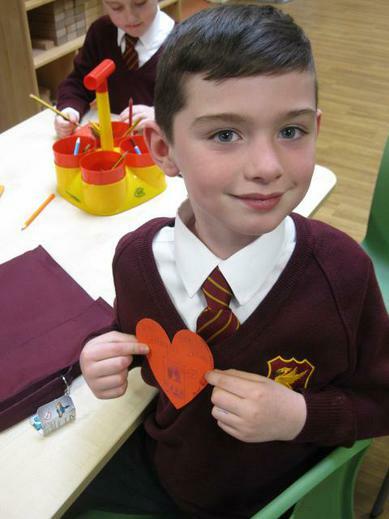 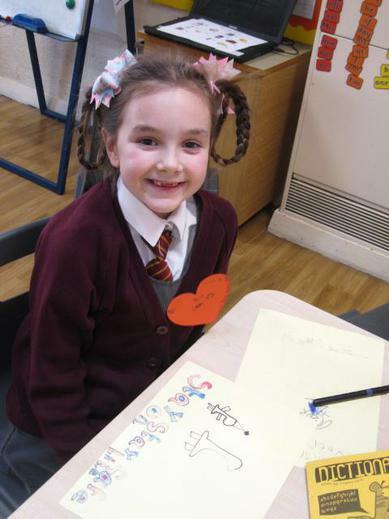 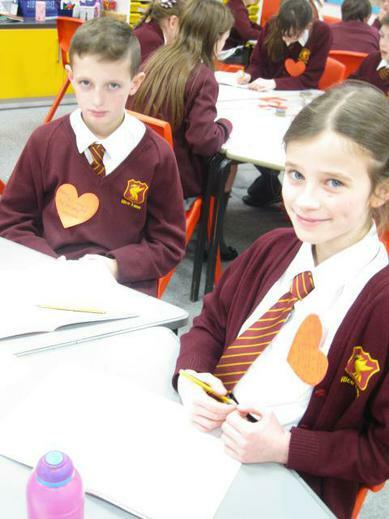 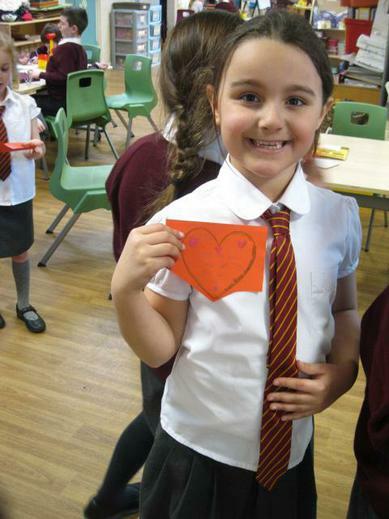 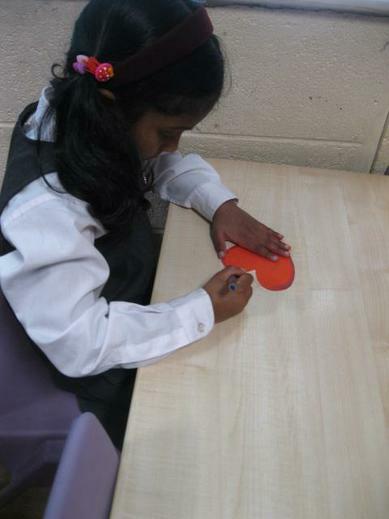 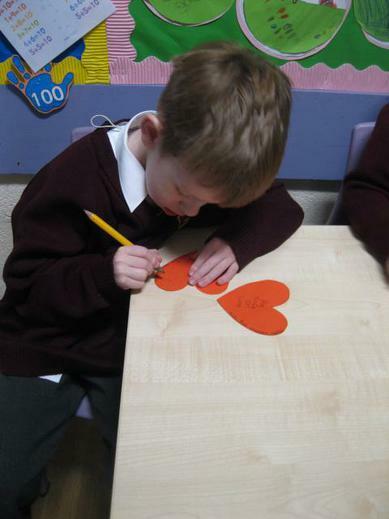 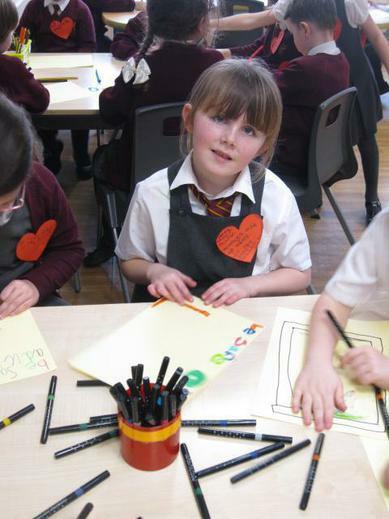 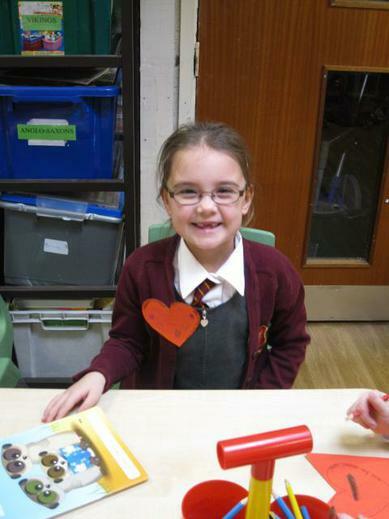 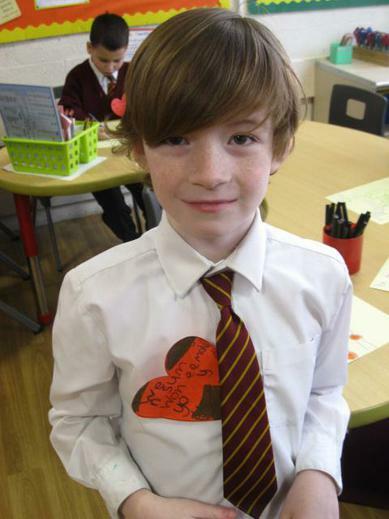 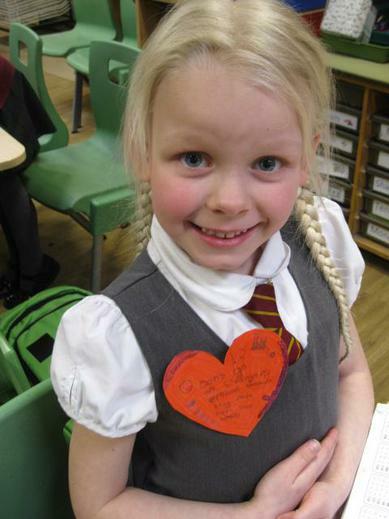 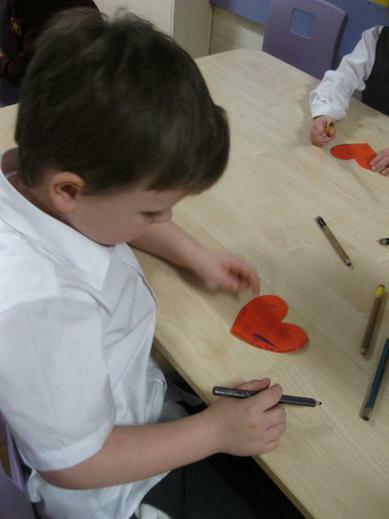 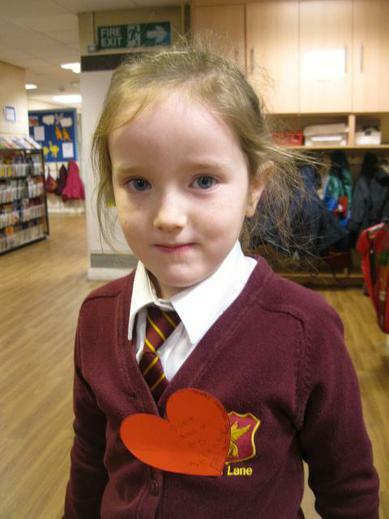 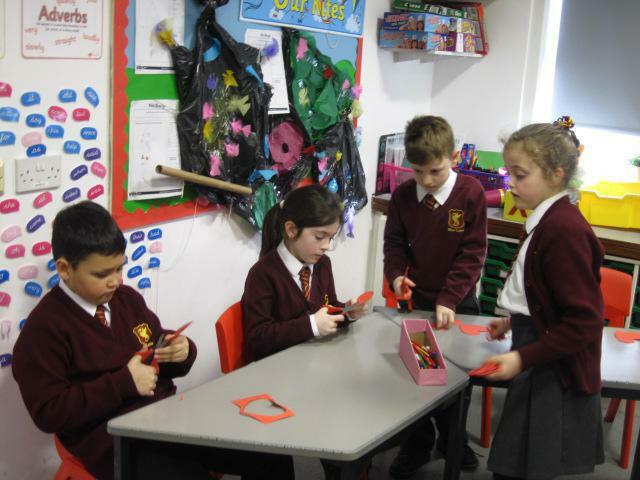 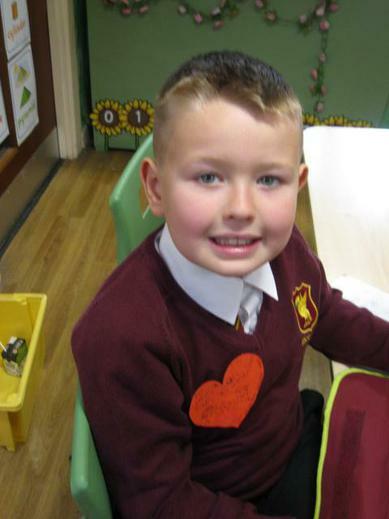 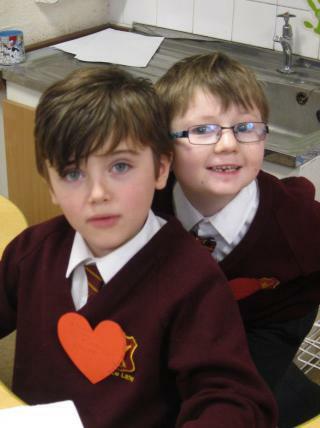 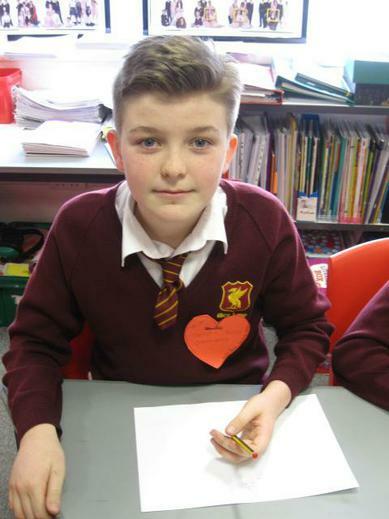 Our eCadets thought it would be a great way to spread the message if all children and staff wore a heart badge with important messages on them about how we can 'play our part for a better internet. 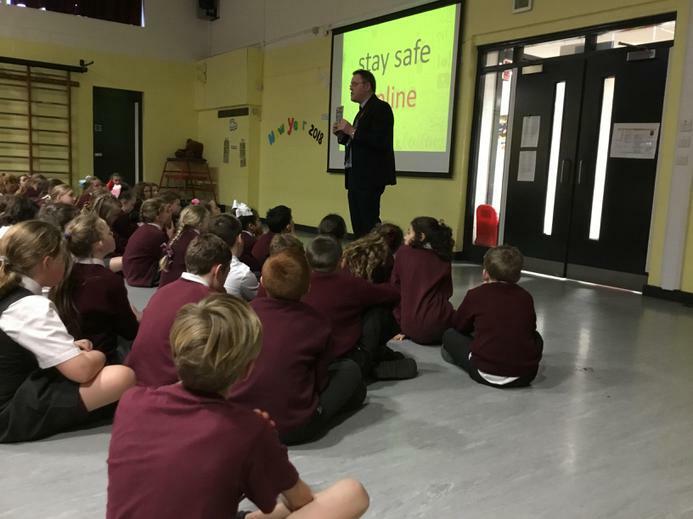 All staff and children from nursery up to year 6 took part in the event and it was great to read so many good ideas and pieces of advice for staying safe online and playing our part!